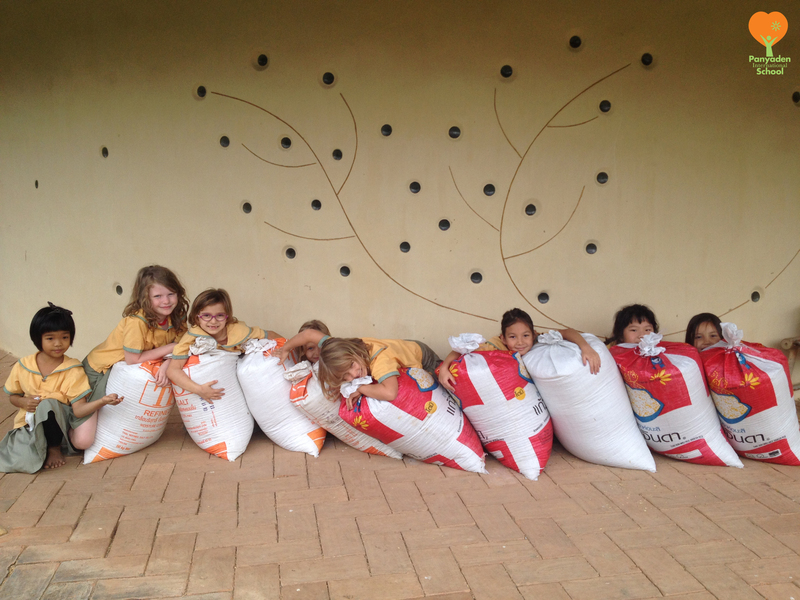 9 bags of rice grain ready for the mill. From field to the table, all by the students themselves! This entry was posted in Featured Posts, Green School and tagged Panyaden, Panyaden International School, rice grain, students.